Reasoner & Associates represents people who have been seriously injured. 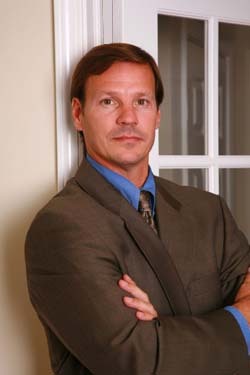 The Firm’s founder, Paul A. Reasoner, is a Trial Attorney who specializes in Personal Injury Litigation. Paul’s mission is to provide his clients with first-class legal services, as he has done for many of clients over the years. Paul specializes in highly personalized representation. As Mr. Reasoner’s numerous satisfied clients will attest, Paul goes above and beyond the excellent legal services he provides, and truly fulfills his role as attorney and counselor, working closely with his clients whose bodies and lives have been injured by the careless actions of others. Mr. Reasoner and his team work hard to obtain for his clients the compensation that they deserve, and to assist them in resetting their lives upon a positive, productive path. At Reasoner & Associates we practice law with the highest degree of strength, honesty and ethical standards. Michigan is my home. I graduated from Birmingham-Seaholm High School, and from the University of Michigan in Ann Arbor. I attended Loyola University of Chicago School of Law, and then underwent my legal training in Chicago with a nationally recognized civil trial law firm where I developed and honed my legal and trial skills. I am a Trial Attorney. I express my passion for the law with my trial work. I learned early on in my career that the only way to be taken seriously as an attorney representing clients in a Court of Law is to establish one’s reputation as an attorney who is ready, willing, and able to take his clients’ case to Trial. The numerous jury cases that I have successfully tried have provided me with the respect and the strength which allow me to resolve my cases in a positive manner on behalf of my clients. Outside of my law practice, my wife and our three children are the focus and the rock of my life. The responsibilities that I have undertaken as the head of a lively household provide the foundation for the leadership skills and strengths which I also bring to bear on behalf of my clients. I am grateful for my supportive family, which includes my three active children, who have themselves made healthy, positive life choices and always seem to find the time and energy to help others. When not representing my clients or spending time with my family, I can be found in the woods and on the waters of the Great State of Michigan, pursuing my passion for all things out of doors.